Within the context of current political and social debates, there is much discussion over the reproductive rights of women-specifically abortion rights and the role of Planned Parenthood. Many of the more heated discussions refer to Planned Parenthood as being synonymous with abortion, but that simply is not the case. 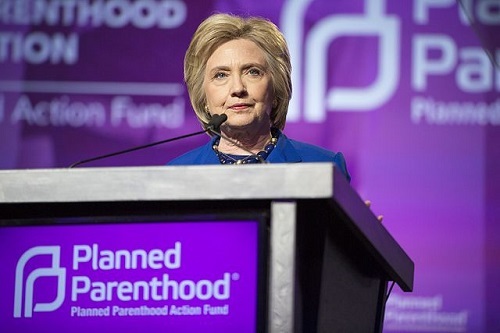 Comparatively speaking, Planned Parenthood has a much shorter history than abortion itself. The organization started on October 16, 1916 when Margaret Sanger opened the first birth control clinic in the United States, in Brooklyn. At the time, the organization mainly distributed birth control, advice, and information. However, after the founders of Planned Parenthood were arrested, support for the cause of women’s reproductive health grew. In 1921, the clinic became the American Birth Control League and was the only provider of these services in the United States until the 1960s, with over 49,000 individuals being served in 222 locations. In 1942, the name was changed to the Planned Parenthood Federation of America. The organization began to advocate for abortion law reform in the mid-1950s and eventually played a large and vocal role in historic abortion cases such as Roe v Wade and Planned Parenthood v Casey. [iv] Due to its role as the largest abortion provider in the United States, Planned Parenthood is frequently controversial and is often the site of protests. Rikki Roehrich. "Difference Between Planned Parenthood and Abortion." DifferenceBetween.net. November 8, 2018 < http://www.differencebetween.net/miscellaneous/legal-miscellaneous/difference-between-planned-parenthood-and-abortion/ >. With respect, Planned Parenthood’s main activity is abortion. This is simply a fact. They do almost no breast checks, and very few other checks but thousands of abortions every year.